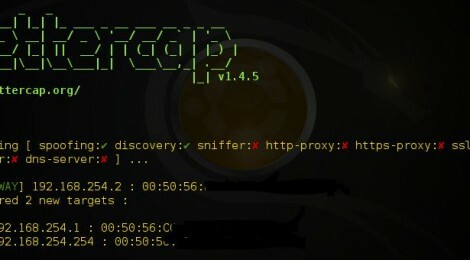 Browse: Home / BetterCap v1.4.5 – A complete, modular, portable and easily extensible MITM framework. + New CREDITCARD sniffer with Luhn algorithm verification. + Fixes #165 : Fixed a bug which caused the –custom-proxy argument to not work properly. + Fixes #134 : Bettercap killing connections. + Fix: Resetting packet forwarding only after restore packets are sent. + Fixed wrong boolean condition in ARP spoofer. + Refactored if/then constructs to ternary operators. + Refactored DNS server code. + Moved Authority loading code into SSLServer class. + Refactored proxy processor code. ← RaTS v0.1b – Ransomware Traces Scanner.